Doors open at 11:30 AM, lunch served at noon. 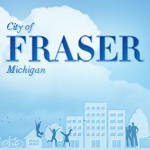 Celebrate the holidays with your friends at the Fraser Activity Center! We will have a full catered holiday meal complete with dessert and drink, a special gift for those in attendance and a lovely choir performance by the award winning Fraser Singers that is sure to put a smile on your face. Please register by Tuesday, December 11th.